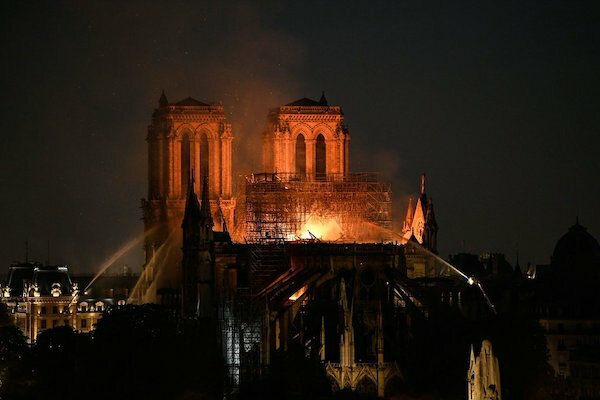 A catastrophic fire has destroyed the main roof and spire of Notre Dame Cathedral in Paris. The fire broke out at 5:50 pm local time quickly spreading through the structure which was undergoing a major 6.5m euro renovation programme to the building. French President Emmanuel Macron has addressed the nation with the message; ‘We will Rebuild’. Billionaire François Pinault, chairman of the Kering group that owns auctioneers Christie’s, Gucci and Yves Saint Laurent fashion brands have pledged €100m (£86m; $113m) towards rebuilding Notre-Dame. €200m was also pledged by Bernard Arnault’s family and their company LVMH – a business empire which includes, Louis Vuitton and Sephora. 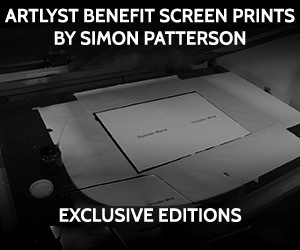 Other donations are expected to follow. Firefighters have managed to save the 850-year-old Gothic building’s main stone structure, including its two towers, but the spire and roof have collapsed. According to Lt-Col Gabriel Plus a fire brigade spokesperson, “the whole of the roof has been devastated. a part of the vault has collapsed, the spire is no more”. However, the north rose window which is the oldest dating back to the middle ages is repairable as well as the chancel windows which appear intact. The altar and pulpit, and many of the pews seem to have survived. The Paris landmark’s main stone structure, including its two towers, are weakened but standing. The fire broke out in the attic of the monument before spreading across the roof. The flames spread rapidly across the 850-year-old Gothic building, resulting in the cathedral’s spire and roof to have collapsed. Firefighters were ill equipt to reach the height of the raging flames. Last year, the Catholic Church in France appealed for funds to save the building, which was crumbling with cracks appearing in the stonework. The government only committed to 2m euros for the work, and the church reached out internationally to raise funds. Paris Mayor Anne Hidalgo says firefighters are trying to contain the ‘terrible fire’ and urged residents of the French capital to stay away from the security perimeter around the Gothic-style church. The mayor says city officials are in touch with Roman Catholic diocese in Paris. 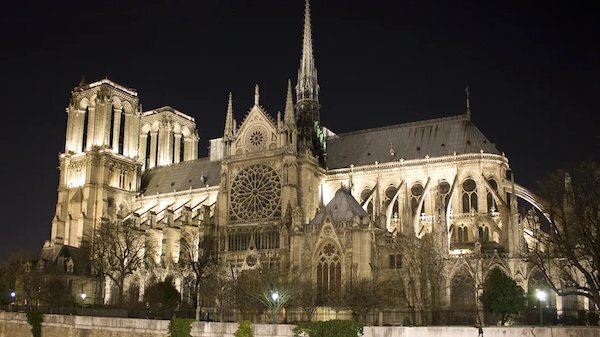 A French spokesperson said the entire wooden frame of the cathedral would likely come down, and that the vault of the edifice could be threatened too. 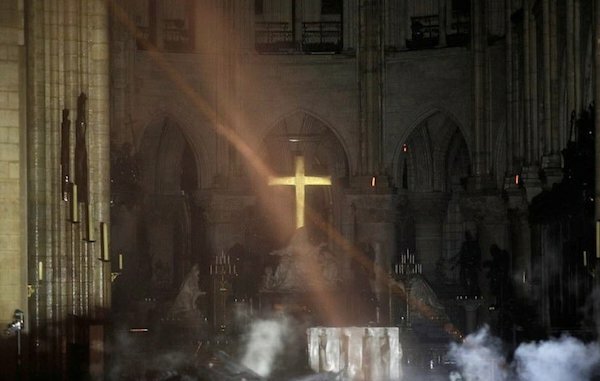 ‘Everything is burning, nothing will remain from the frame,’ Notre Dame spokesman Andre Finot told French media. The 12th-century cathedral is home to incalculable works of art and is one of the world’s most famous tourist attractions. Notre-Dame which means ‘Our Lady’ is a medieval Cathedral on the Île de la Cité in the fourth arrondissement of Paris. The cathedral is considered to be one of the finest examples of French Gothic architecture. The innovative use of the rib vault and flying buttress, the enormous and colourful rose windows, and the naturalism and abundance of its sculptural decoration all set it apart from earlier Romanesque architecture. The cathedral was begun in 1160 and mostly completed by 1260, though it was modified frequently in the following centuries. In the 1790s, Notre-Dame suffered desecration during the French Revolution when much of its religious imagery was damaged or destroyed. Soon after the publication of Victor Hugo’s novel The Hunchback of Notre Dame in 1831, widespread interest in the building revived. A major restoration project supervised by Eugène Viollet-le-Duc began in 1845 and continued for twenty-five years. Starting in 1963, the facade of the Cathedral was cleaned of centuries of soot and grime, returning it to its original colour. Another campaign of cleaning and restoration was carried out from 1991–2000. As the cathedral of the Archdiocese of Paris, Notre-Dame contains the cathedral of the Archbishop of Paris (Michel Aupetit). Twelve million people visit Notre-Dame yearly, making it the most visited monument in Paris. US President Donald Trump asked in a Tweet why water-carrying helicopters were not employed to try and bring the fire under control, but firefighters soon retaliated that the pressure from water dropped from a height would cause irreversible damage to the infrastructure of the cathedral. Whether or not the city of Paris had a contingency plan in place for fires in tall historic monuments is unknown at this time. The loss of such an important building is unimaginable.